Initially, the Galaxy Unpacked event was to be held on the opening day of the Mobile World Congress 2015 in Barcelona, but Samsung decided to advance to the conference Sunday, March 1, at which time there will also be the Utopia in Progress HTC. During the last few hours the South Korean manufacturer began sending invitations to the media the first printing, of course without revealing any details on what will be the topics discussed during the occasion. 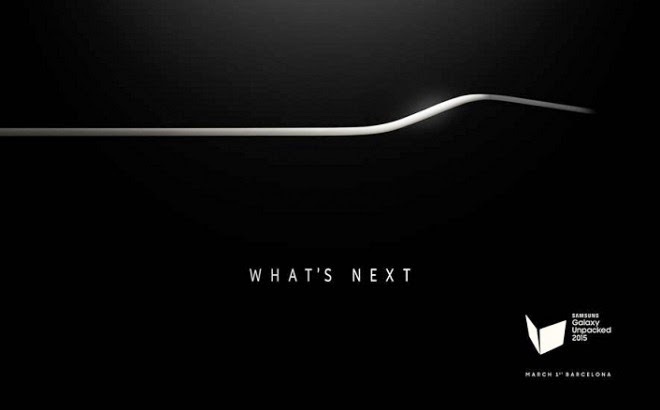 The Galaxy S6 may not be the only star of the Galaxy Unpacked because, as we can see from the introduction, this contains a curved line very suspicious, which could refer to a variant with curved display. We remind you that the future flagship of Samsung home should be equipped with a display with a diagonal of 5 inches, Exynos 7420 processor, 3GB of RAM, 20-megapixel rear camera, front camera and 5 megapixel battery 2550 mAh. The South Korean manufacturer had promised something revolutionary, if you remember there was much talk of Project Zero, so all we expect a lot from the Galaxy Unpacked. By rumors and rumors emerged so far there seems to be nothing so stunning but we are confident that Samsung may have an ace up its sleeve. What do you expect from the event on March 1? One OnePlus sale without "Cyanogen"